One of the innovations, Mobile banking, has seen impressive growth. The proof is in the numbers. The bank clocked Rs 15,775 crore in mobile transactions for the full year 2014/15. ICICI Bank had strong competition. Think about it. HDFC Bank had a system whereby it could approve a personal loan in just 10 seconds; IndusInd Bank introduced 'video branch', a mobile app that allows customers to interact with branch managers through videos; State Bank of India put together an intelligent queue management system to manage the rush during peak hours. ICICI Bank, nevertheless, trounced all of them in the Innovation category. What did it do? ICICI powered ahead with innovations in the mobile banking space. Let's start with the one in vogue, the e-wallet - a product the bank calls 'Pockets'. It is like any other wallet but the bank thinks of it as a 'digital bank'. For the first time, ICICI launched a product (in February 2015) that was not restricted to the bank's customers. Anybody could download and use it, just like you would use a Paytm wallet. The wallet comes with a physical card as well - sort of a debit card - that allows one to use the money in the wallet in offline transactions, such as at a merchant point of sale. "In the youth segment, many are not eligible for credit cards. So there is a lot of interest in a physical card, and we have seen good usage," says Abonty Banerjee, General Manager and Head of Digital Channels at ICICI Bank. Another aspect of Pockets is that it is linked to social banking - users can send or request money from any e-mail id, mobile number and friends on Facebook, among others. Pockets has seen more than 2.8 million downloads thus far and, according to the bank, close to 80 per cent of the downloads are new customers - this is still a minuscule stat compared to the current Goliath of the wallet world, Paytm, which claims more than 100 million downloads. But then, Pockets serves a larger purpose for ICICI. The wallet is a path to customer acquisition. "Because we are a bank, you can quickly upgrade from the wallet to a bank account. If you want to upgrade, we come and pick up the documents," says Banerjee. The second piece of ICICI's mobile innovation is its app 'iMobile'. Unlike Pockets, this one is for existing customers of the bank and enables 125 banking services. The list (only partial) goes something like this: transfer of funds, transfer money to phone contacts, cash withdrawal by a beneficiary at any ATM without using a card, apply for loans and pay utility bills. The app is also integrated with Google Now that gives out payment due alerts. The bank says it has seen the monthly activation of iMobile by new customers growing by close to 60 per cent and the monthly value of transactions increasing by about 50 per cent since the launch of the updated app in 2014. Mobile banking, overall, has seen impressive growth. The proof is in the numbers. The bank clocked Rs 15,775 crore in mobile transactions for the full year 2014/15. That number was surpassed in just the first quarter of 2015/16 - ICICI clocked transactions of Rs 17,028 crore in the June quarter and clocked Rs 21,254 crore in the September quarter this year. Apart from digital, the bank's innovation touches financial inclusion as well. ICICI became the first private sector bank in 2013 to introduce 'Branch on Wheels' that provides basic banking facilities to unbanked villages. Prathit Bhobe, General Manager and Head of Wealth Management at ICICI Bank says that the pilot was conceptualised in 2010/ 2011. The idea was to take a sophisticated van - one that is connected to the internet with laptops, authentication machines, etc - to smaller villages where there are no branches. It offers services such as savings accounts, deposits and even loans and, overtime, will be a good way to sniff the opportunity. "As we gather accounts, we get an idea on which catchment justifies a physical branch," says Bhobe. These hi-tech vans now scout three states: Maharashtra, Orissa and Chattisgarh. Innovation, at ICICI, also appears to be a journey. Going ahead, say executives, every effort will be to make banking both convenient and simpler. 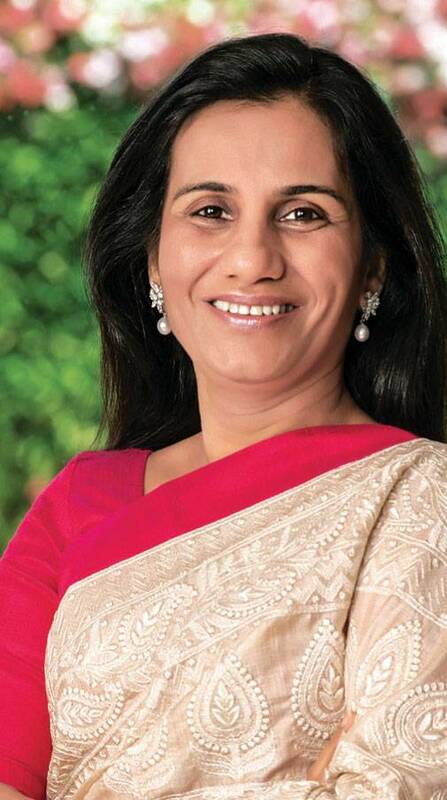 Chanda Kochhar has created a strong foundation for the future growth of ICICI Bank. She took over as the MD & CEO in 2009 and has subsequently focused on improving the operating parameters of the bank. It seems she has achieved her goals. A bank of the size and scale of ICICI Bank has managed an outstanding cost to income ratio. In fact, it is the best among large banks. It is a creditable task given that the bank competes with the likes of HDFC Bank and Axis Bank, seen as among the well-managed and best run banks in India. ICICI Bank's cost to income ratio at 0.37 is better than the corresponding figures of SBI (0.50), HDFC Bank (0.45) and Axis Bank (0.41). The benefits of efficiencies are also reflected in the operating profits of the bank, which have been growing at a CAGR of 24 per cent over the past three years. The return on assets of the bank, at 1.73 per cent, is also impressive and is neck and neck with HDFC Bank. In the BT-KPMG study, ICICI Bank, the second-ranked bank, has also emerged as the productivity and efficiency winner.